When it comes to paying for group fitness classes or the rent, many of us are on the fence about our priorities. But there’s really no dancing, spinning or down-dogging around it, group fitness doesn’t come cheap. It does however, come discounted. Whether you are just discovering the joy of Pilates or you’re a former ClassPass unlimited member without an unlimited budget, the good news is that group fitness classes can be affordable and sometimes even free. It just requires a little bit of research and flexibility (but you’re probably flexible anyway). Here are seven ways to get the best discounts. While ClassPass no longer has an unlimited membership program, they currently offer 1, 5, and 10 class options with additional add-on packages available. Depending on your city, where and how often you like to work out, ClassPass can still help you save. It’s also ideal for people who regularly travel for business because you can use your class credits in 30 cities throughout the world. 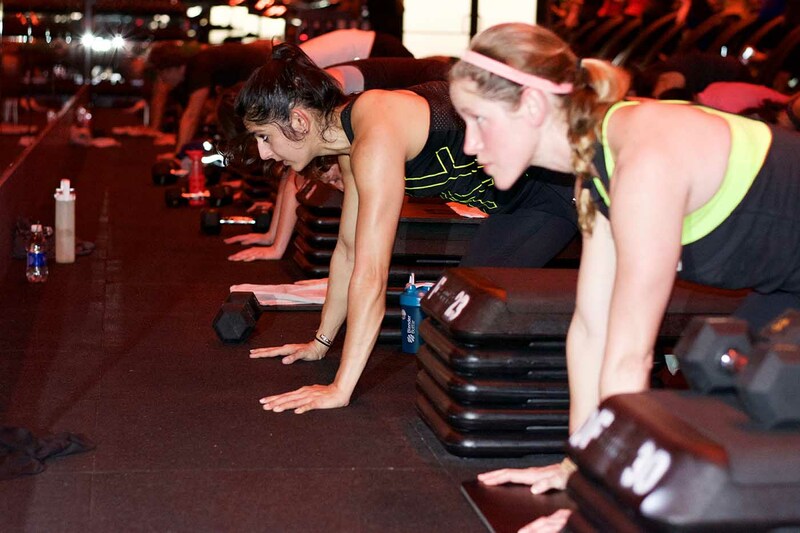 Open Sweat is a new app that lets you book individual classes at up to 50% off. This means you don’t need to shell out for an entire package in order to save. The price of each class depends on the studio and time of the class. So, choosing to sweat during a less than prime time can save you even more. Currently, Open Sweat app is only available in Los Angeles, but they are expanding to other cities in future. Gilt City is a flash sale site and app featuring class package deals in thirteen cities. It’s very well curated, featuring mostly upscale studios including Tracy Anderson (yes, that Tracy Anderson), Exhale, Pop Physique and others depending on location. Gilt City also sells lots of other wellness products and services you’ll probably be interested in such as juice cleanses, mediation sessions and massages. Because the offers are constantly changing, you never know what is going to come up, so it’s a good idea to check daily or download the app. Old standby Groupon is another great option and available in most markets. Groupon’s offers run the gamut from the old school Pilates studio down the street, to franchise favorites including Pure Barre and Bar Method. Some of the prices are even as low as $5-10 per class. But wait … there’s more. You can save additional money by waiting for sales or using promo codes. It’s almost as if Groupon is paying you to work out. From the hippie dippy yoga studio on the corner to chic spots including Soul Cycle and Flywheel, lots of studios have free or donation-based community classes. They are often taught by newer instructors who may be recently certified or experienced instructors who just happen to be new to that particular studio. Either way, community classes are a great way to squeeze every last dollar out of your fitness budget. Because community classes aren’t always regularly scheduled, check your favorite studio’s blog or social media accounts for listings. Many activewear chains including lululemon, Athleta, REI, Six:02 and Reebok offer weekly programs. While trying to pigeon pose between clothing racks isn’t ideal, it’s hard to complain about something when you aren’t paying for it. It also makes justifying that new pair of yoga pants a whole lot easier. Check the store’s website for event listings. Most studios offer package deals or have membership options. But, if you want to save the most, specials are the way to go. Studios tend to run them at the beginning of year (so right now), for national holidays, anniversaries and in conjunction with any events or challenges they’re having. Some studios will also offer you a discount or free class for your birthday month. The best way to stay in the know is to subscribe to their email lists and actually open up those messages.